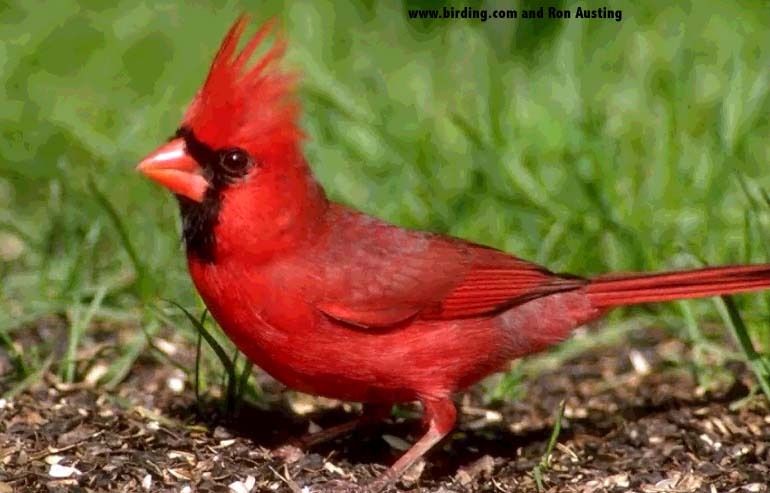 Cardinals are a territorial song bird. 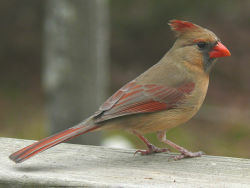 The male sings in a loud, clear whistle from a tree top or other high location to defend his territory. It feeds on seeds, plant matter, insects and fruit.